In the birding world, it is never a good idea to head out with a previously stated objective. Saying you're going out to find and photograph a particular bird is usually asking for trouble. Unless of course, you live near Elbow Falls in the Rocky Mountains of Alberta, and the bird you're looking for is an American Dipper. Experienced birders who should know better have been heard to guarantee a dipper sighting there, bravely taunting the birding gods with their confidence. 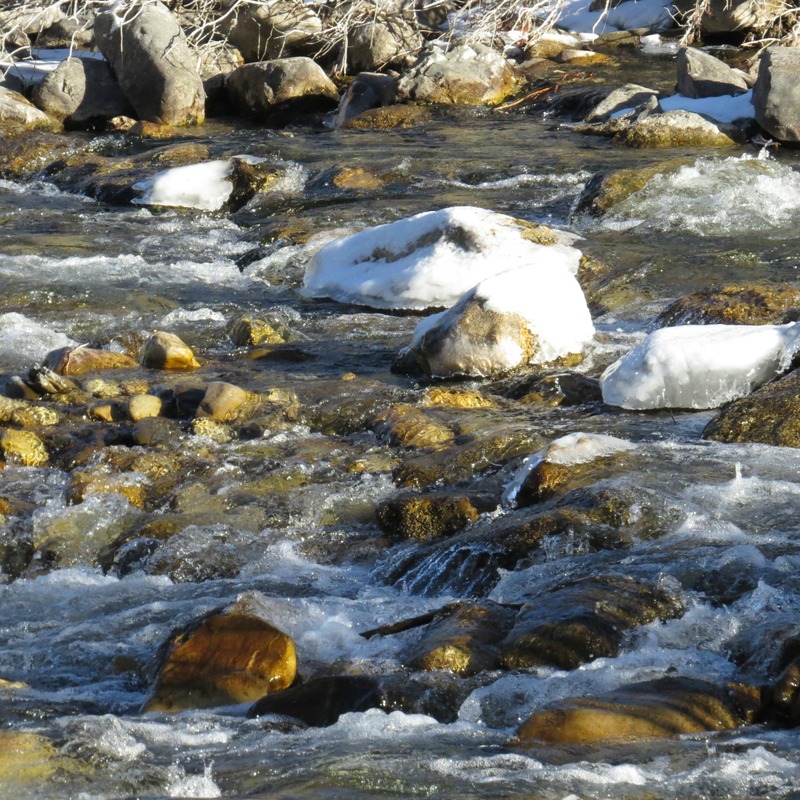 Dipper habitat is listed as clear, fast mountain streams with rapids. 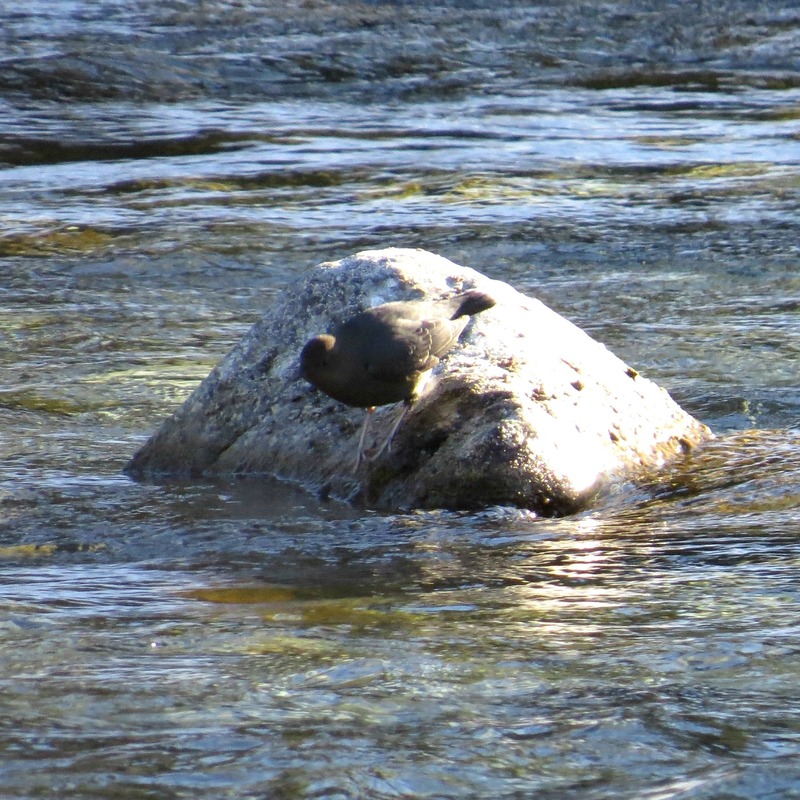 To survive in cold water during the winter, they have a low metabolic rate, extra oxygen-carrying capacity in their blood and a thick coat of feathers. 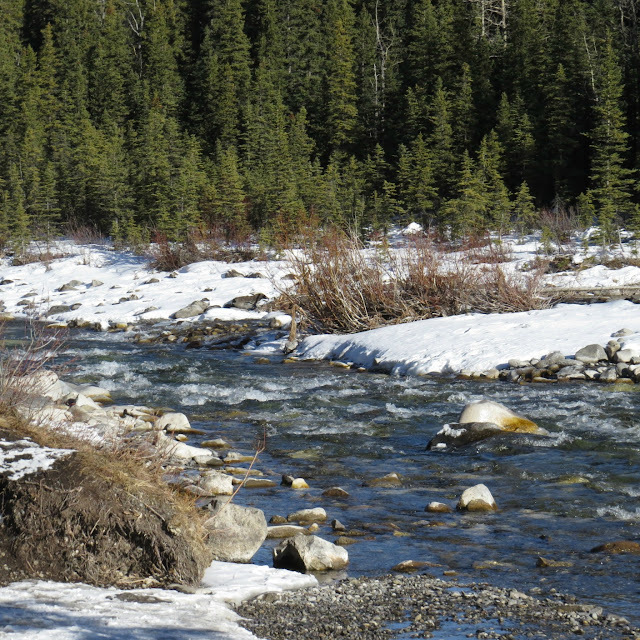 If you were a dipper, wouldn't you live here? A couple of weeks ago a birding friend mentioned he had seen four dippers at the falls. I realized it had been awhile since we'd driven out there, so one warm sunny Sunday I decided we should head out to photograph a dipper. It's about a half hour drive so I could snap some photos, and we'd be back home in time for supper. We arrived at the falls and spent over an hour looking for a dipper. Any dipper. Anywhere. Just as I was beginning to wonder if I had taunted the gods once too often, I finally spotted one. Before I could even raise the camera, he was underwater. Then he was up again. 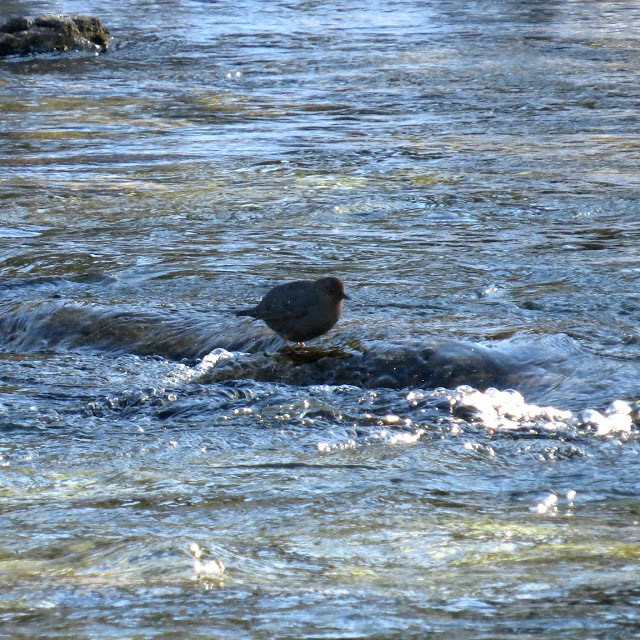 Adding to my already burgeoning file of ripple pictures, this is an American Dipper ripple. Really, he was just there. 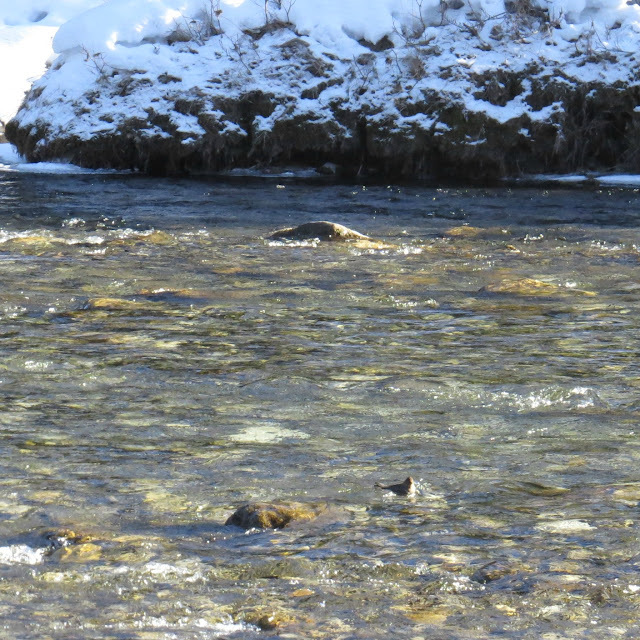 I realized at this point that seeing a dipper is one thing. Taking their photo is apparently a whole different kettle of fish. These birds are fast. I thought warblers were quick, but they don't disappear under the water and come up again fifteen feet from where they went under. Out of my camera range. It was like trying to photograph the wind. There he - is no he's gone -there he is again - no he's gone again. Finally we hit upon a solution. I had the camera at the ready, focused on the spot where we had last seen the bird. With my husband standing right beside me saying he's up, he's down, he's up to the left, he's down, he's 6 feet to the right etc, I struggled to find him with the camera and get something in focus. The ravens were trying not to laugh. Either the dipper took pity on me, or tuckered himself out as he finally let me get some half decent photos. 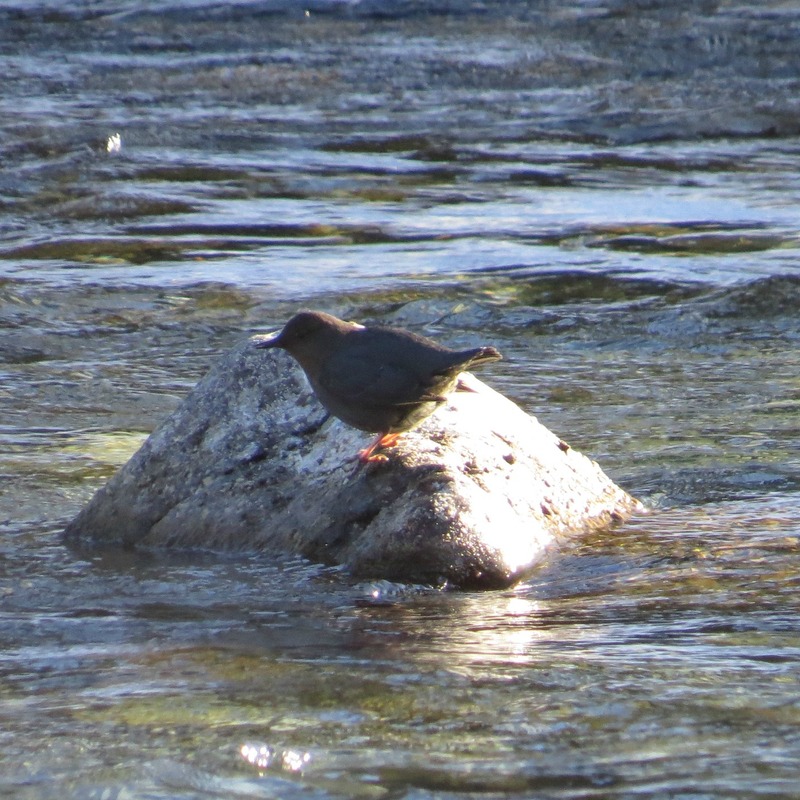 The dipper, or Water Ouzel, feeds on insect life in mountain streams. Where water is deeper they dive into the water and run along the bottom with half-open wings. The water here is so clear I watched one bird 'swim' underwater, but was so fascinated by this behavior I didn't even take any pictures. Birder first, photographer second, obviously. 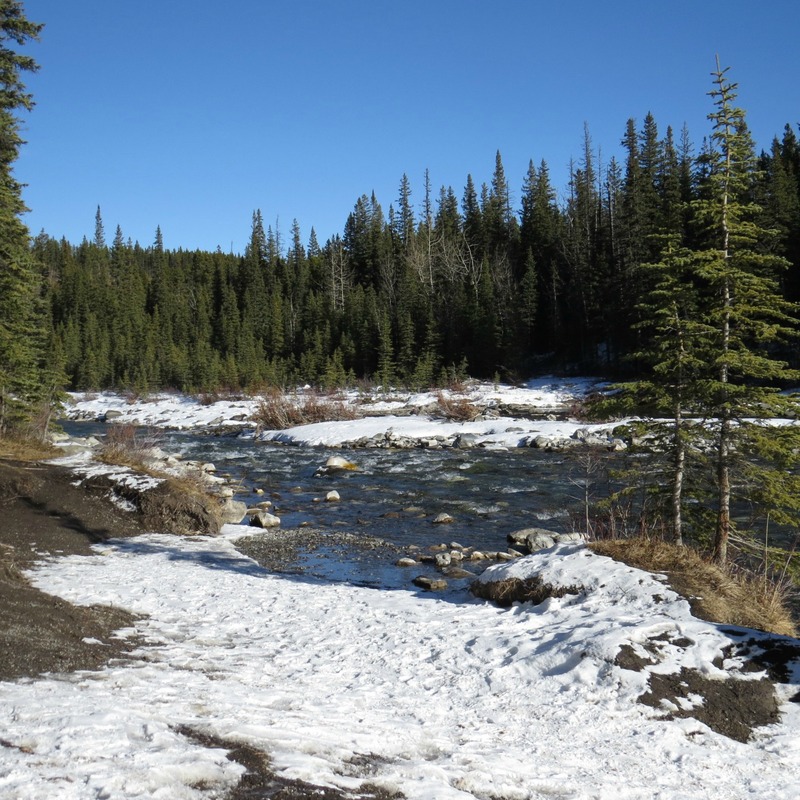 Elbow Falls is less than 40 miles, as the crow flies, from its headwaters at an elevation of 7,237 feet. That water is cold. 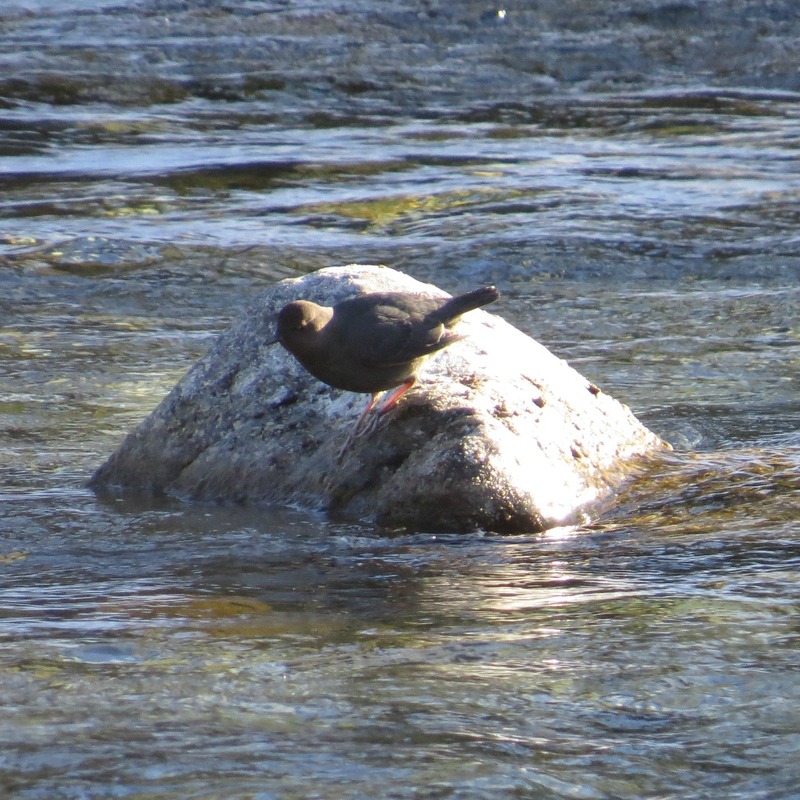 It's a mystery to me how any insect life could survive at those temperatures but the dipper was showing no hesitation about entering the water. 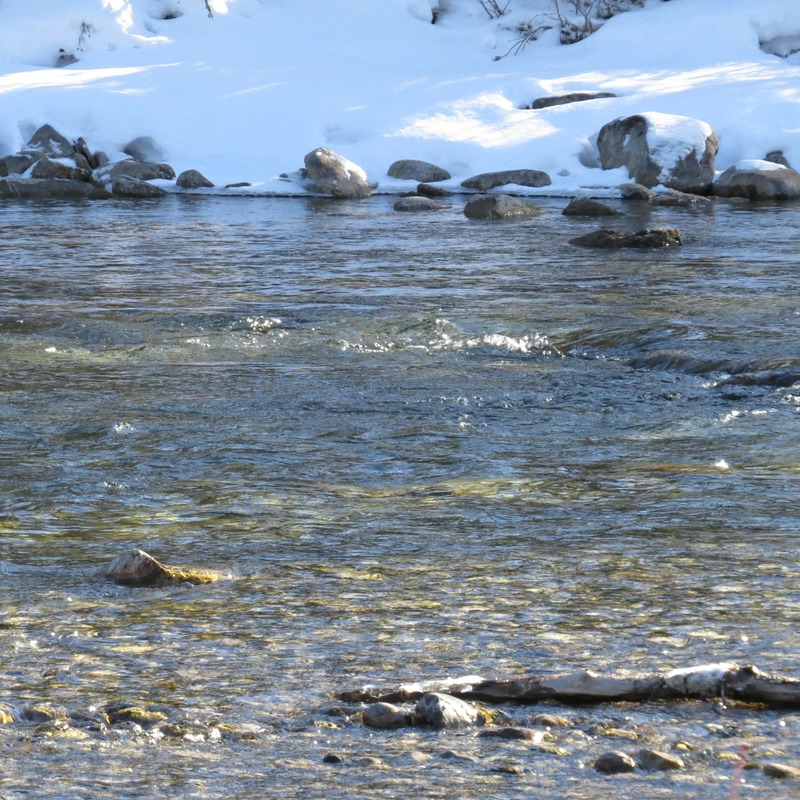 He even looked like he was having fun, as I stood there in my winter coat and gloves, trying to take pictures. 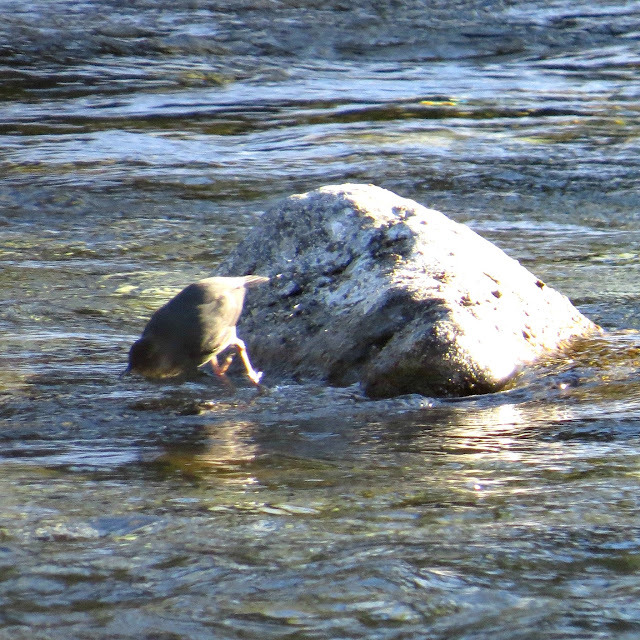 By the time we left, we had either seen four dippers, or one very hyperactive one working his way up and down the river. My head was spinning, my hand was cramping and my feet were cold. I think I'll go back to photographing ducks. The joys of winter birding! At least you didn't join the dipper in the water! I did that once in Costa Rica, fell in a river while trying to photograph a bird. Oops. You've captured its essence in this post Pat, nice work! What gorgeous country to be in. After all that I'm glad you got some photos. I'm sure it was a thrill to watch. 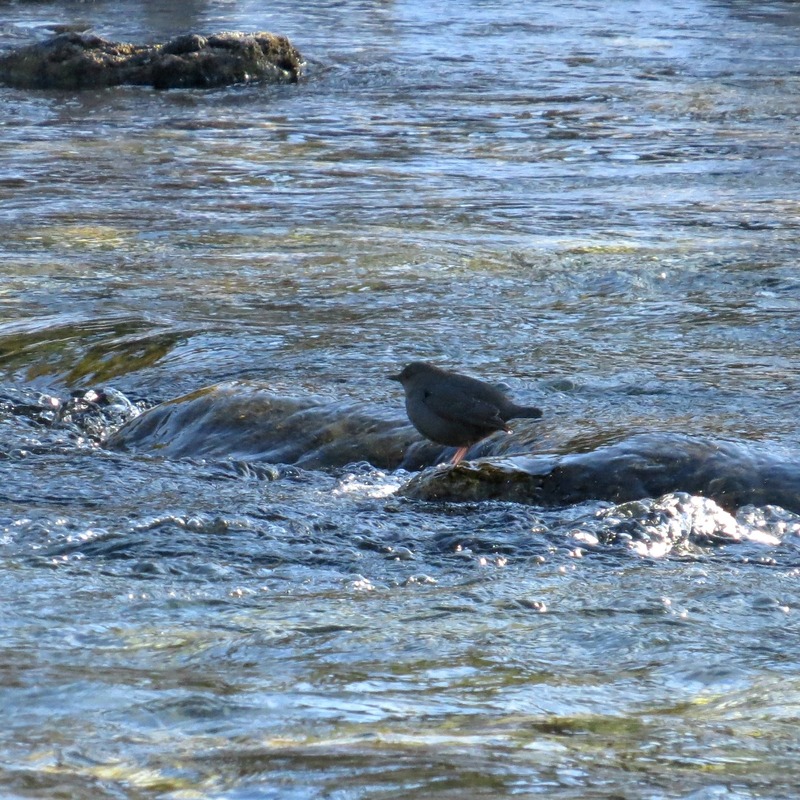 Delightful dipper post filled with good humor and beautiful photographs! 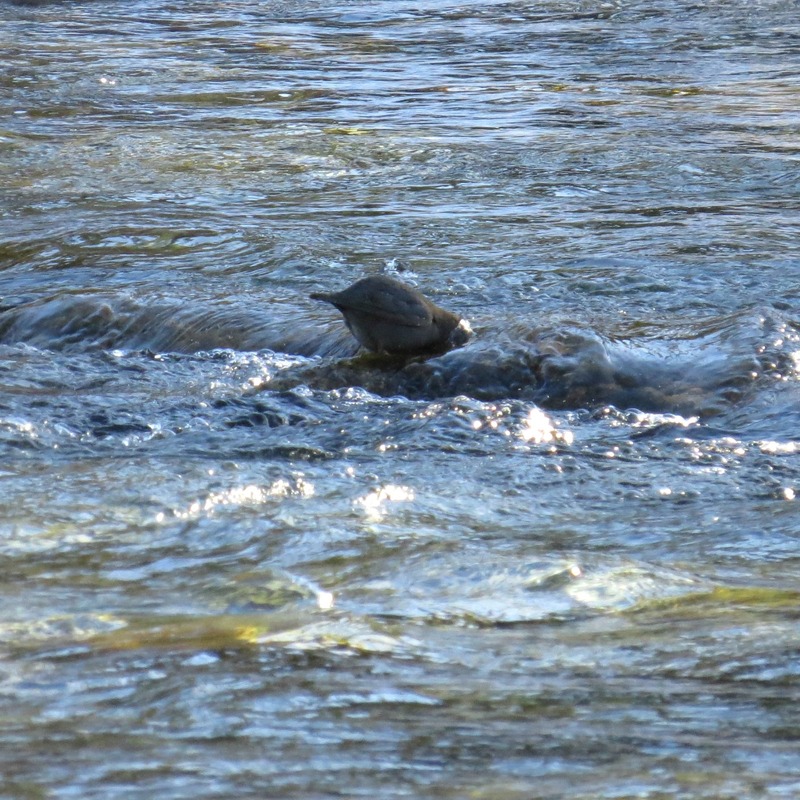 So glad you were able to see the dippers! I love this post! Thanks for sharing your funny adventure! Great shots too! Great post, Pat! 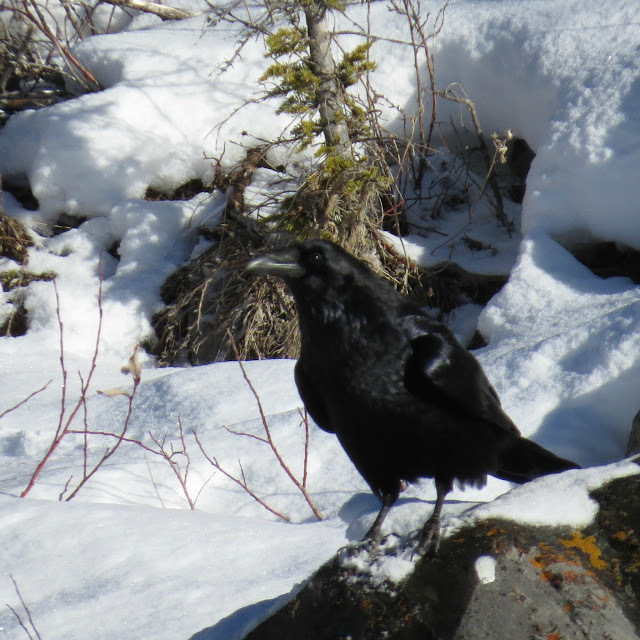 Loved the dipper shots and the beautiful scenery, and the handsome raven. Kicking a Birdy Bucket List-Across the Sea! BiF Contributor Contributes to New Book! Unless otherwise noted all images are copyrighted by the author of the post and they retain all rights to their images. Do not download, copy, reproduce or distribute the images posted on these pages (this site) without the permission of the owner of the photo.